Presents are nice, but grandpas are nicer! Tell you're grandpa he is the real gift and wish him a very happy birthday. This special birthday card wishes your grandfather a day filled with joy. 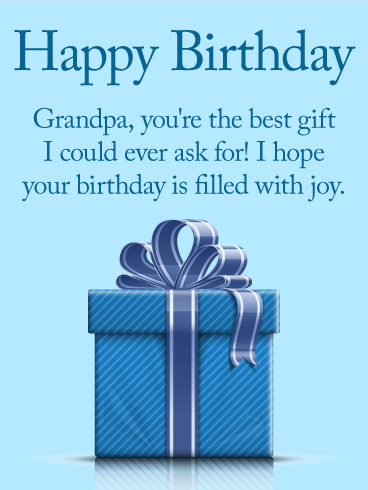 Happiness is just a click away-it's easy to send a thoughtful birthday card that your grandpa will adore. Grandpas don't ask for much. Honor his life and celebrate his birthday with a fantastic birthday card delivered straight to his inbox. Have you learned so much from your grandpa? Tell him on his birthday. Let him know you are the person you are today because of his love and guidance. 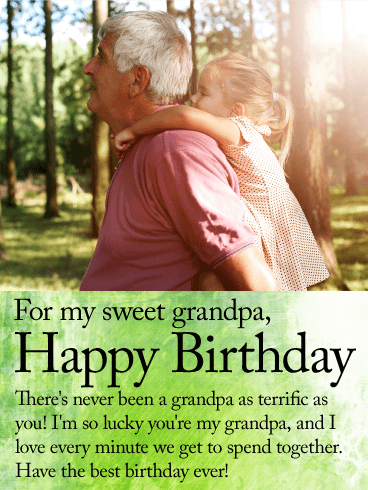 Wish your grandpa a happy birthday with a heartfelt birthday card. This beautiful birthday message will warm your grandpa's heart. There has never been an easier or more thoughtful way to send love far and wide. 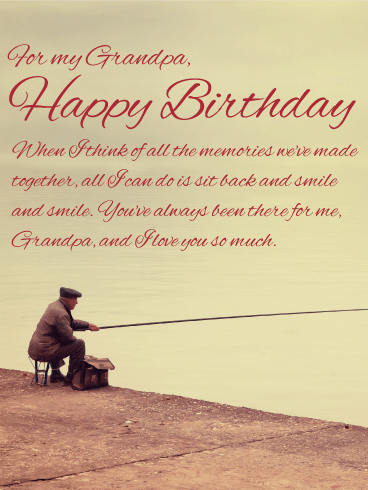 Send a birthday card to your grandpa today, and make his day truly special. 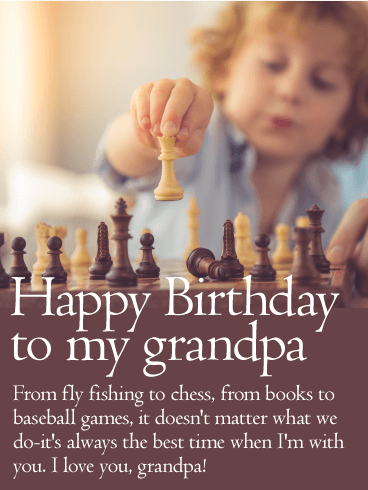 Honor the legacy of your grandfather with this heartwarming birthday card. He is a patriarch of strength, love, and wisdom in the family. 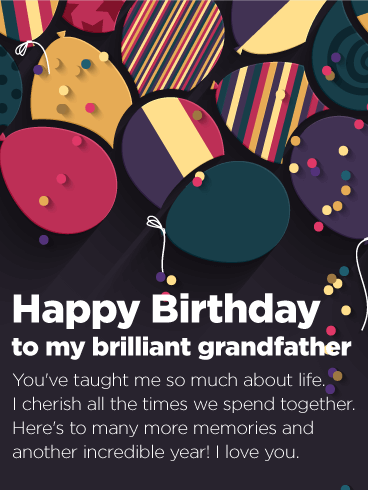 Let your grandfather know how dear he is to you and send him this thoughtful birthday message today. 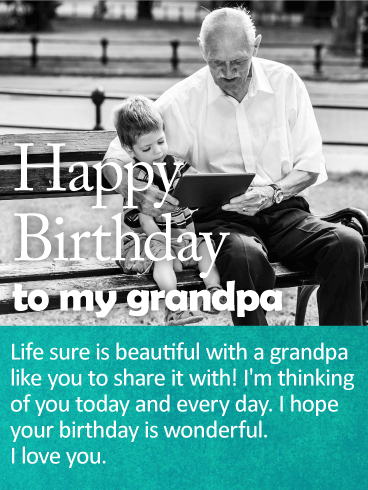 Wish a very happy birthday this year with an extra special birthday card for your dear grandpa. 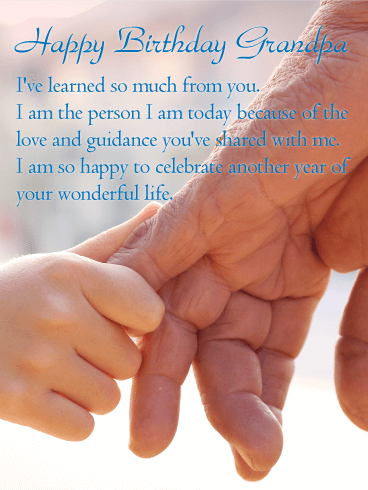 Heartfelt and sincere-this beautiful birthday card for your grandfather will be felt and treasured. 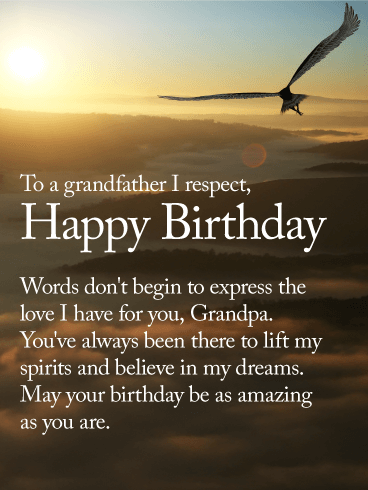 On your grandpa's birthday, your words might not do justice to the love you feel, but you can try to express them just the same with this sentimental birthday card. 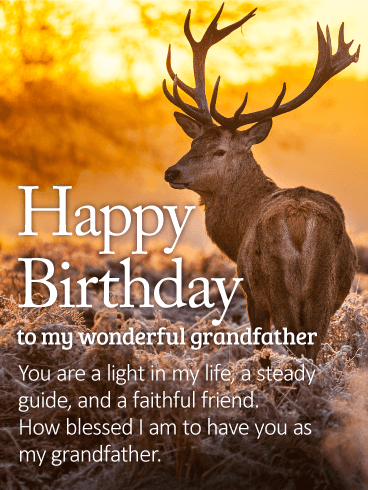 For a grandfather you respect and love, this is the perfect birthday card to send and wish him a birthday as amazing as he is. A light, a guide, a friend. 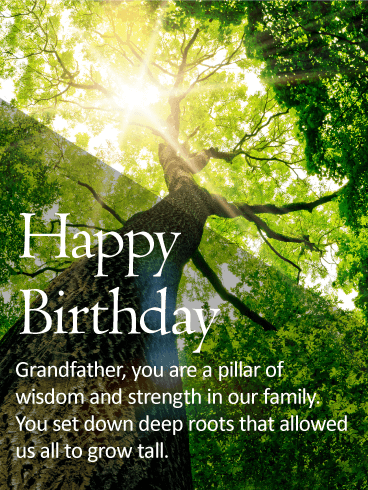 If that's what your grandpa means to you, this beautiful birthday card is for you. Your grandfather's birthday is an occasion to celebrate. A birthday blessing and sincere message in his inbox will add joy upon joy to his special day. Send a personal birthday card toy our grandpa. Express yourself and share your love from near or far. Adventure is out there. Wish your grandpa another year lived to the full! 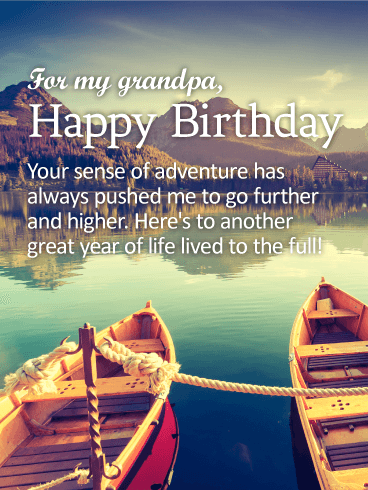 On your grandpa's birthday, a sweet birthday message will warm his heart. Does your grandpa have a touch of the daring and the blood of explorers in his veins? Has he inspired your own path through life? Let him know with this thoughtful birthday card and you'll be sure to brighten his day. It's time to celebrate grandpa! It's his birthday and you're lucky to have a grandpa as sweet and fun as you do. 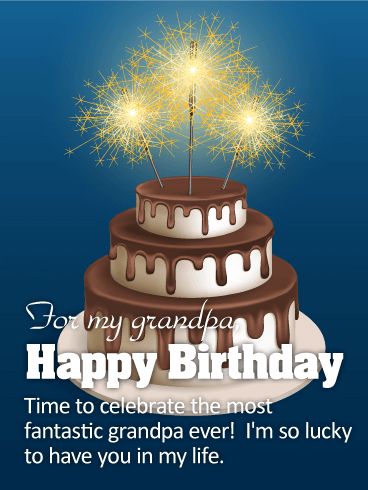 Wish your grandpa a very happy birthday with this terrific birthday card. 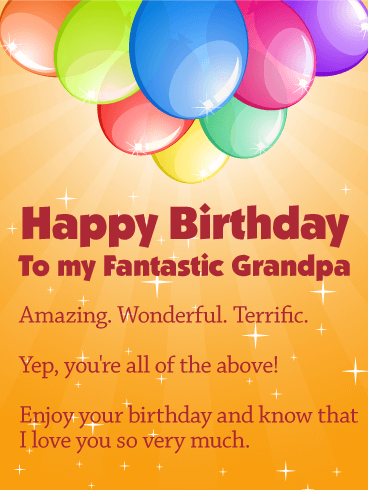 A birthday card is a really fun and easy way to send love and warm wishes to your grandpa on his special day. Send this thoughtful birthday card today for miles of smiles and tons of fun. The best around! Wish your fantastic grandpa a terrific birthday. This colorful and fun birthday card is sure to brighten his day. A birthday card is quick to send and super-fun to receive. 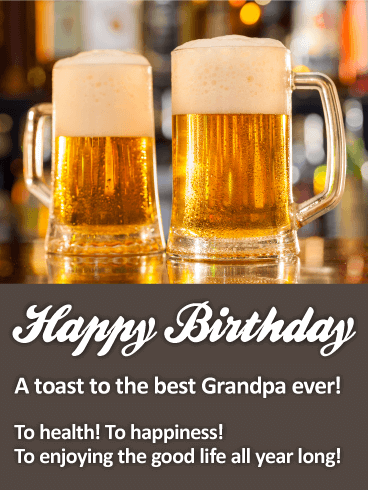 Wish your grandpa a very special birthday with this celebratory birthday card. Amazing. Wonderful. Terrific. Yep, you're grandpa is all those things and more! Why not let him know with a thoughtful birthday card?